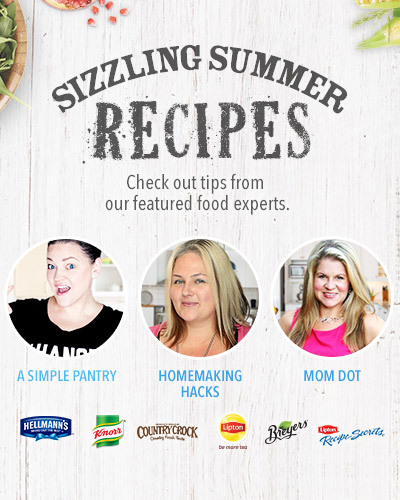 This post is sponsored by Mirum Shopper, though all opinions and recipes are my own, so enjoy, and thank you for supporting the sponsors who support A Simple Pantry! School has officially started everywhere, and if you know me at all, you know I am thrilled about that. It’s almost as thrilling as this Turkey Bacon Avocado Sandwich! Huzzah! If you are anything like me, school lunches can be concerning. 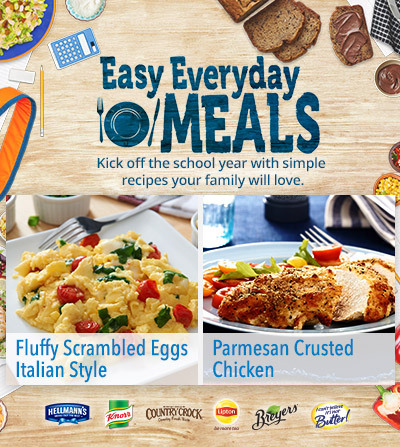 In Texas, our school was on the Federal Lunch Program, and I was not pleased with what the kids were being served. It was barely even food. When I could, I would make the girls something amazing to send with them, so they could eat something decent. Now, I may be a fan of the classic PB&J, but let’s be honest, it’s not exactly the most healthy sandwich you could make. Delicious, yes, healthy, not so much. 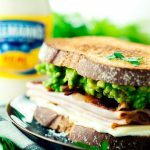 This turkey bacon avocado sandwich is super fun, however, because you’ve got all that great protein in the turkey, not to mention that salty delish bacon in there, I mean, yum. But I made the sandwich even more exciting by including a peppered jack cheese (grab some seasonal Hatch variety when you can, cause zomg it is amazing), and whipping the avocado into a simple guacamole with some diced tomatoes. Two of my kids hate tomatoes. Like fiery death kind of hate. But seriously, when they are diced up in guacamole, I get not a single peep of dissent from them. Bwah ha ha for the mom-win! 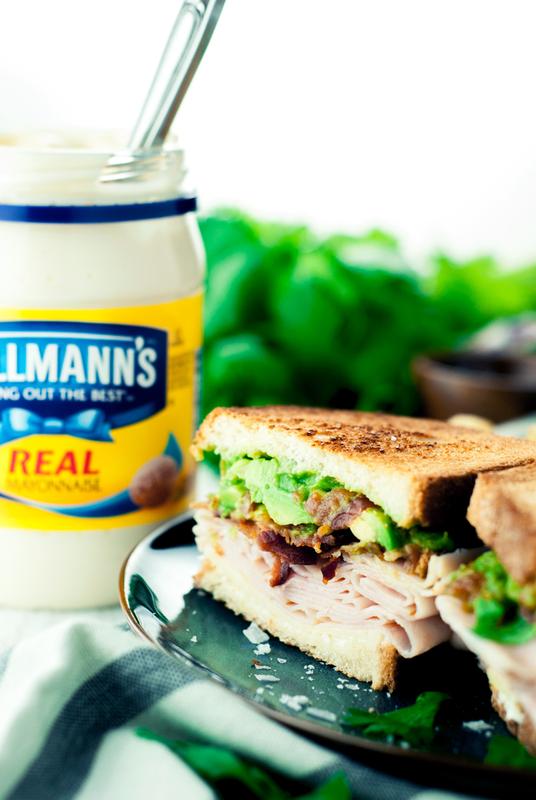 And of course, a sandwich just isn’t a sandwich without my trusty Hellmann’s Real Mayonnaise. Holla! 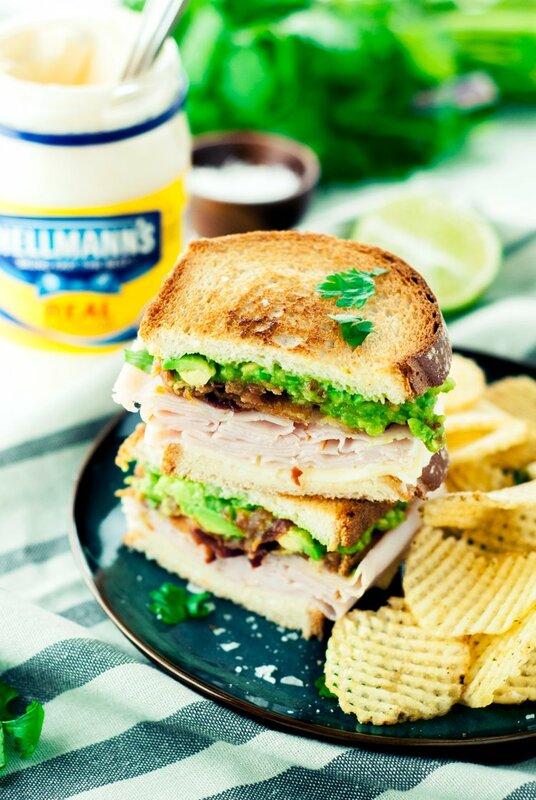 How about we eat this amazing turkey bacon avocado sandwich now?! 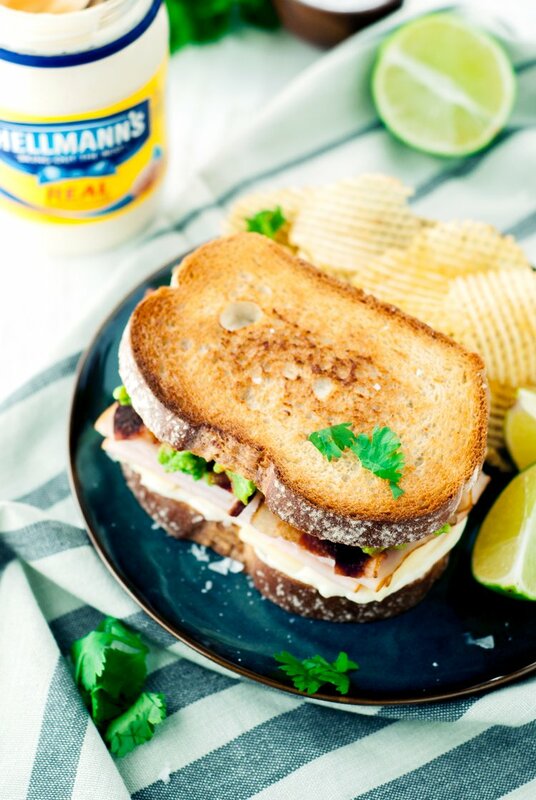 Evenly spread the Hellmann's Real Mayonnaise across one slice of bread, then layer with the cheese, turkey, and bacon. Stir together the mashed avocado and diced tomato, then spread on the remaining toast and top the sandwich. Enjoy! This looks delicious! I love sandwiches like this one! This is one of my favorite sandwiches tho I use whole wheat bread toast. Beautiful picture. Really captures the sumptuous of the sammi! 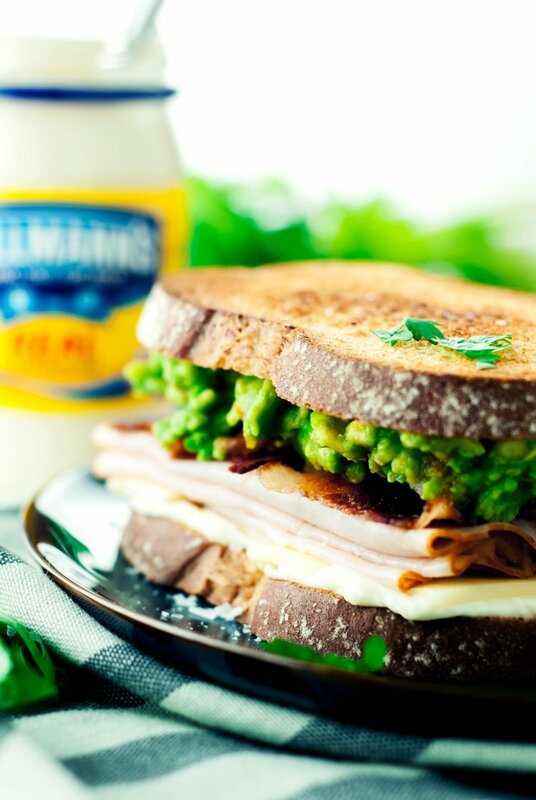 I love a good sandwich and this one is loaded with good things! BACON! This looks like a great tasting sandwich. Perfect for brunch, lunch or even dinner.